Somewhere there is a sunset in progress. It just depends on where on this Earth you are if you can view it or not. That is a nice tranquil thought and mental picture. 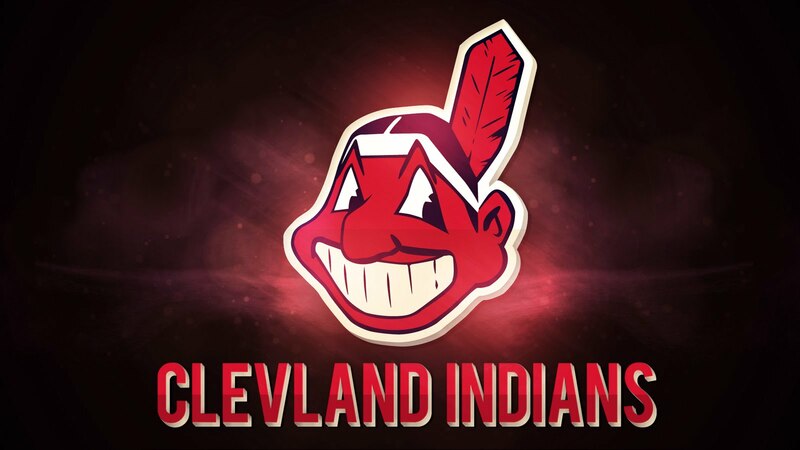 Now let’s talk about my Cleveland Indians in first place in the American League Central Division of Major League Baseball. That is a pretty accurate way to describe the state of the Indians these days. Five games after the All-Star Break against the bottom feeders from California, Oakland and San Francisco respectively, and the team is 1-4. In those five games they have scored: 0, 3, 3, 5 and 1 in terms of runs. By MLB standards that is sub-standard. In the month of July, for the team that was tied in the ninth inning of game seven of the World Series in 2016, Cleveland has won only 6 of 14 games. They lead second place Minnesota by 1.5 games and third place Kansas City by 3 games. The Indians won-loss record is presently 48 wins and 44 losses putting them on par with the New York Yankees who currently occupy the second wildcard position for postseason play positioning. From a personnel standpoint, the fourth and fifth starters in the pitching rotation (Josh Tomlin and Trevor Bauer) have been tough to watch for the most part. For the most part the pitching staff has been quasi-healthy minus Kluber’s hiatus for his back. The enigmatic Danny Salazar was minimally effective before developing a convenient injury. A slew of injuries has put a harsh spotlight on the thin offensive depth of the team. Offensively speaking, there has been a huge hole caused by Jason Kipnis being injured. When Jose Ramirez is plugged in at second base for defense, that opens up a hole at third base. The biggest problem has been the revolving door in the outfield with Lonnie Chisenhall visiting the DL multiple times and Tyler Naquin not being healthy almost all year. Brandon Guyer has been atrocious (period). Austin Jackson has been a nice surprise but cannot stay healthy and Abraham Almonte is a 4th-5th outfielder on most teams. The catching tandem of Roberto Perez and Yan Gomes has given virtually nothing on the offensive side. They both hit right around the Mendoza line and have combined to produce 7 homeruns and 37 RBI while striking out nearly 30 percent of the time. There is a similar production line or lack thereof from Jason Kipnis this year with his 8 homeruns and 26 RBI. He is only striking out about 19 percent of the time but he is also on pace for about 10 stolen bases this year which would be his lowest total since his rookie season when he stole 5 bases in 36 games. Which brings us to Carlos Santana. Is he a first baseman or is he a DH? You look at his body of work this year and with the glaring exception of the homerun category he is on pace to basically do what he has done the past three years. With the presence of Juan Encarnacion, Carlos seems a bit redundant in his skill set. OK with the rundown of what isn’t working so far this year, the question shifts to what should/can be done to fix it? A Major League baseball team is a tough thing to boil down to a formula. Every single game can hinge on literally one pitch to take a win and make it into a loss. Even the best teams every year find a way to lose around 60 ball games in the regular season. There is no ‘running game’ for a baseball contest to limit the other team’s chances. You have to get at minimum of 27 outs (barring weather shortened games) from the other team and all the necessary pitches and catches that accompany those. Even on the worst teams, there are still guys trying to do well so they can keep their Major League job for this year or to parlay their stats into a big payday for years to come. So here is my list of guys to package up and trade or straight up DFA: Tomlin, Bauer, Gomes, Guyer, Almonte, Santana, Salazar, Kipnis and Jackson. Some of these guys are currently injured which makes this process difficult. Each team has an active 25-man roster so in doing the math, I am suggesting a pretty significant amount of shuffling of the current roster. The last three players noted are on the disabled list but the rest are all fair game. As I see it, the club currently needs an everyday centerfielder, a new second baseman, a fresh face at catcher and at least one new member of the rotation if not two. It was about this time last year that Josh Tomlin got demoted to the bullpen so history may be repeating itself soon. Bauer has been a perplexing, head-shaking case of talent versus harnessing his talent (see Jason Davis circa 2002). I know this sounds like the ranting of a frustrated Indians fan and it most certainly is. Last year was such a vicious tease and this year has been a great opportunity that has mostly been squandered. I will suggest trading for the St Louis Cardinals Carson Kelly, the Oakland A’s Sonny Gray and the Atlanta Braves Brandon Phillips. From there I will just hope no one else gets hurt and Tyler Naquin can return and play like he did last year. If not, this team may be done before the first week of October is over. P.S. Tito stop eating all the junk food. Have some asparagus at least twice a week and it will be all good.